A post I have been wanting to write concerns Disclosure and the need for discernment. There are those who scoff at the idea that alien visitation could occur. There are those who are terrified of aliens and those who are eagerly awaiting their arrival. For the moment, let's assume there is life elsewhere in the Universe, that we are not alone, and that civilizations more advanced than ours exist. In many essays, I have gone out of my way to make it seem realistic that the more advanced civilizations are also more benign. There are a few reasons that I could imagine that would cause people to think otherwise. One is that many abductees and contactees probably had encounters with humans involved in nefarious activities carried out mainly by intelligence and military agencies. In short, they were exposed to something terrifying. Their stories are sometimes published but officially most of the details are classified. It goes without saying that fear results in more funding for black ops and therefore yet more opportunities for deception. That said, some contactees have had ennobling experiences that broadened their understanding of the Universe and of the many possibilities that await us. Given that we can find pictures of strange flying objects in ancient art, we have to assume that the visitors have been here a long time and that some live here, either secretly or they walk among us, look like us and talk like us, but they have some extraordinary insights, gifts, and perhaps also missions. Since I was very young, I saw beings in the sky, but I thought they are something like masters, great teachers in human forms but larger than us and very wise and kind. They never triggered any fear. I have not seen any space ships except in pictures, and I have reasons to believe that a very large number of pictures are faked. As digital editing technology advances, some of the older images have been debunked. However, if even one of the thousands of pictures is real, it is cause for consideration and open-mindedness. There are two more ground points I would like to establish. One is that as a student of astrology, I have had occasion to study some astronomy. Since there is immense consistency about certain factors, it suggests that the systems we use were given to us in tact, not deduced or gradually constructed through observation. Rewording this slightly, I would say, they are revealed, not deciphered. It is easy enough to see how certain calendrical features would reflect motions of the Moon and Sun, but when it comes to constellations, grouping of stars, naming of them, and associating various traits with them, it is actually impossible to believe that countless individuals at different times in human history and from different cultures just happened to have the same names and myths associated with the constellations. In my opinion, the odds of this happening by chance are nil. I can see how each culture would use stars for navigation or for measuring time or for setting dates for rituals, but I cannot see how the groupings into constellations would have occurred as we now accept unless the source of knowledge was the same for all cultures at all points in time. The second consideration is that in all the work I have done in altered states of consciousness, both my own altered states as well as those I facilitated for others, no one was from Earth. I know people who identify very closely with Earth, but in altered states, they invariably find they came here from elsewhere. It means there is life elsewhere and that we are here for a reason, usually out of a mixture of a sense of duty and choice. I don't know anyone who came here for a vacation. I am not saying that curiosity would not prompt a visitation but I think that there are nicer places for a holiday than Earth. That said, there are some factors that are unique to Earth, one being drama. Oh, it's possible this exists elsewhere also, but drama is a projection of emotion and is inseparable from karma and history. So, to the extent that we are emotional beings, we create theater around our particular issues and concerns. When we are in balance, there is less drama. When we are seriously out of balance, the pendulum can swing rather widely. It may be difficult to imagine not being emotional, but absence of emotion does not necessarily mean that one is cold because indifference is an emotion, and though it goes against the storyline, I believe that we are surrounded by exalted beings who are compassionate. You may or may not accept any of these premises, but if you can just play with some ideas, a few pieces may fall into place. Supposing we have visitors among us and supposing some are long-time residents and some are just observing or laying plans, what are the implications? Supposing that among the thousands of reports of contacts and eye witness accounts, a few are genuine, meaning they were not staged by some undercover agency. This means that information is suppressed and the question is why? A few years ago, some countries decided to declassify all reports of alien contacts. The U.S. was not one of those countries. Why? What are we hiding? Even more important than what is why? Who favors Disclosure and who debunks it? As I have mentioned, I was shown back in the 70s that when Saturn and Pluto transit Capricorn, all the systems of Earth would collapse. Individuals in high governmental and corporate positions would surrender, and a new era would begin. It was handled peacefully. So, was this a revelation or fantasy? For the record, I did not see mass executions. What I saw resembled surrender. In a traditional military conflict, the losers lay their weapons on the ground. What I saw was long lines of distinguished looking individuals moving towards long tables where they placed crowns, gavels, and various corporate symbols. There were only a handful of individuals on the other side of the table and none were in uniforms. In short, the visions I had did not resemble what one expects as a result of the sealed indictments and arrests though the one scenario does not preclude the other. Arrests may occur but after a certain number of individuals are arrested, it is very likely that others will surrender. However, even this is not the point. The reason for the surrender had little to do with fear of prosecution or execution and everything to do with the inability to emerge victorious over the aliens, who were all benevolent. What this meant to me at the time was that we would fail. What exactly would we fail? We would fail to correct our conduct so the experiment in free will would be suspended. At the time as well as now, I thought the visions were a prophecy. Timing is very important. Serious problems are exposed during the transits through Scorpio. The ability to give birth to new systems requires vision and expansion, and this takes place in Sagittarius, and then the obsolete systems and structures are dismantled in Capricorn. Law and order is then restored. Many seek compensation for the suffering they endured as a result of the abuse of power and influence. Some want justice which may mean prosecution of the most egregious perpetrators of crimes against humanity. Some individuals, probably many, may want to cling to their perks but resistance simply delays the inevitable. By finding oneself in a slightly more enviable position than some, change may not be welcomed, but this means one does not feel responsible for the less fortunate. This tends to sustain the imbalance rather than release the flow towards more equilibrium. On a practical level, i.e., not mystical or spiritual, two points can be noted. First, given the advances in technology, people on Earth are in a position to impact life elsewhere. This means that others need to take precautionary measures because the abuse of power is such that the motivation for venturing elsewhere would probably be to plunder. We have to ask why we plunder? History provides us with excellent examples of plundering going from slaughtering of bison to resistance to alternatives to petrochemicals. Let's not rehash the raiding of gold only a few generations ago, but look at what stands in the way of free energy. The only thing blocking sensible and clean technology is the vested interests of oil companies themselves, none of whom have a particularly admirable record in terms of the treatment of those in the countries where they seek resources nor can we think of a company with a laudable environmental track record. However, these companies are huge and they buy influence. We are all victims of this influence. You can actually look at how we are victims from countless perspectives. One would be the price we pay for transportation or for cooking or for staying warm. It is exorbitant and unnecessary. Becoming energy independent is not a fantasy, it is feasible. I don't think countries like Iceland would announce their intention to become energy independent unless the science behind the alternatives is seen as realistic. Over the years that I have dabbled in economics, I see that the pundits have invariably insisted that demand will exceed supply because there are too many people. To the extent that this is accepted as fact, policy is based on analyses that a few serious thinkers have taken pains to refute. One obvious possibility would be to build better quality products with longer lives. Industries want to make sales so they build things that wear out, or they come out with newer models that are alleged to have features that will make our lives happier and perhaps even healthier, claims for which there is rarely any proof but ad copy is usually written by people who know what their clients want but very little about the products. A day of reckoning comes and that, I believe, is more or less where we are now. The second point revolves around what we understand as free will. In my view, there is nothing at all that one can do with free will except to experiment with opposition to Divine Will. We learn from our mistakes, but the only purpose behind free will is to build character. My understanding is that the aliens have, until now, chosen to respect our freedom of choice but only up to the point that our choices do not adversely affect other parts of the Universe. In addition, the aliens wish to be invited, welcomed, and greeted in a friendly fashion. This can only happen on an individual basis. Every person has to come to grips with the possibility that there is alien life, and they have to sift through the imprints of Hollywood versus their deepest longings for peace and personal opportunity. I think we have to take this a few steps further and factor in the influence of religion and religious beliefs, religious resistance, and the tendency of religious fanatics to impose their views on others. The question that has nagged me, probably for many incarnations, is why religions have a need a control others? Why, for instance, is the Vatican Library inaccessible to the general public? What is hidden there? Why do they own observatories but not publish pictures taken with their telescopes? Why is heresy treated as a crime? Are we free or not? In today's world, we have issues about climate change, but the same dynamics that we see in organized religions play out in organized science and the media. It is simply a new form of dogmatism with new definitions of heresy . . . for which the purpose is to control. To the extent that those with power succeed, they remain in control . . . at the expense of our individuality and rights to our own views. This is what we see in academia, what we see in mass media, and what we see with the new kids on the block who censor what we can find on the Internet. The point is that the resistance is always fiercest from those with the most to lose and the danger mounts when the masses feel they have nothing more to lose. In the last few days, several of my Skype friends have sent links to videos in which it is claimed that our secret agencies have technology that is 1000 years ahead of what we see as mainstream today. For me, this is a ridiculous contention, not because more advanced technology does not exist but because the difference of being ahead or behind is merely a veil of secrecy. If the veil were not there, what is hidden would be mainstream. I.e., are we hours, days, weeks, years, or centuries away from the future? To make this clear, let's play a bit with imagination. Go back hundreds of years and imagine that Marco Polo is planning his journey. He will keep going east and who knows how long the journey will take. He will travel partly on foot and partly by horse and perhaps also camels. It seems absurdly risky to all the sensible people advising him. They have no idea what kinds of experiences he will have nor how old he might be if he ever returns to Venice. Now, pretend someone from the year 2020 drops in and says that there are personal flying machines, and he can make the trip in one of these solar rechargeable craft if he wants. He is, of course, fascinated, but there is no one to show him the flying objects so he sets out using 13th century technology. This is not the present situation. If there are secret projects with advanced technology, the achievements have already occurred so all that has to happen is for the technology to go mainstream. Obviously, the corporations that have developed the technology want to mass market it so we are not going to have to wait a millennium to fly to other planets. In short, the overall situation is that the barrier is simply the veil of secrecy. How long do you think the new Space Force will take to train countless pilots and navigators to master the hidden technology? I guess I am suggesting that what we actually have is a withholding of achievements, and the scale of the secrecy is probably extensive, meaning it is not simply travel technology but all the communications systems and health-related issues surrounding such travel. Obviously, much more is also hidden but ultimately everything boils down to knowledge. What we think we know as individuals may potentially differ enormously from the facts as understood by those on the other side of the secrecy fence. Let's just keep going here. As most of you know, I was very close to a kahuna in Hawaii named Morrnah Simeona. When we first met, in the 70s, there was a sort of revival of interest in origins. The Hokulea was to Hawaii what the Kon-Tiki was to Thor Heyerdahl. According to lore, Hawaiians used stellar navigation to get from the South Pacific to the islands now called Hawaii. Hawaiians had no written language so the navigation instructions would be preserved for posterity in chants. These would include Creation myths as well as the history of the migrating peoples . . . and the knowledge of ocean currents and stars. What do people do when they think they are leaving forever? They load up their ships or canoes with seeds and perhaps some animals. Then, as happens when separated from one's origins, changes begin to occur in the language and culture. The pattern is no different in the Americas when Europeans arrived, but the trade went both directions because exotic foods and even sample humans were brought to the courts of Europe as trophies, souvenirs, and evidence of what was discovered. So, we can expect humans to act like humans and to repeat the same patterns with space travel, but we need the same sort of security we would have if introducing a new species to a new space. Try sneaking some agricultural products into Australia and you will quickly discover what the word "prohibited" means. My point is that it is doubtful that our fake everything would be welcome elsewhere. That said, I suspect we are going to find out fairly soon what is and is not prohibited. Let me take another example. It is probable that the normal lifespan of humans is 120 years. Many say, it is much higher than this, but they do not want to look too foolish so they use a lower figure to appear less on the fringe. It is also alleged that the military is in possession of medical innovations and that Donald Trump ordered the declassification of this information. Given that the offensive language of insiders rudely references "useless eaters", it is understandable that extending life expectancy would be seen as highly inconvenient. If people retire more than half a century before transitioning, you can imagine how much panic this would cause if convinced there are not enough resources to go around. However, the reality is that if one major factor changes, other factors will change. In short, prepare for adjustments, not for disaster. What would happen if there were Disclosure? I suspect a lot would change but not exactly overnight. The risk is that the powers that be will fake Disclosure, i.e., try to present some ridiculous version of aliens who introduce a new one world order with one religion, one government, and one currency. This is why I am urging discernment. 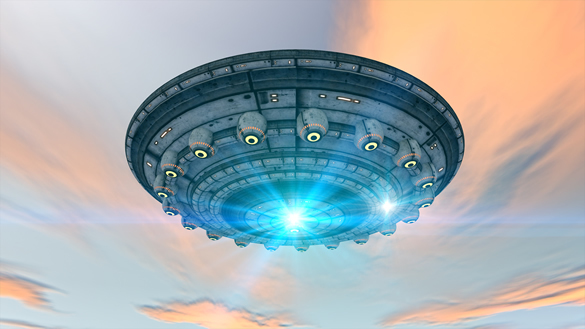 There are very good reasons for welcoming the real aliens and a tremendous risk of being deceived by those who would be most inconvenienced by authentic Disclosure. How would we know the difference? This is the real question. I would propose that we begin by praying for constructive change. We want a world that is peaceful, where there is respect for all life, where there is dignity for all species, where everyone can unfold the unique gifts of the Creator, where suffering is alleviated in kind and gentle ways, and where cooperation replaces competition. We have been indoctrinated to believe that competition assures more options and better everything. However, it also assures more lying, more cutthroat practices, and more cutting of corners since price ultimately does impact many of the decisions we make. Maybe I sound like a dreamer, someone who believes in fairy tales, but why do some people choose to believe in an endless struggle between good and evil? I think it is because evil has not been checkmated, but that day is hopefully coming. Fear is an instrument of the dark forces. If you doubt it, ask how it was possible to roll out the Patriot Act so fast? Relatively simple decisions are debated for years but complex losses of jurisdiction over our own lives can be lost in a flash. Think about it. How do I envision genuine Disclosure? I think it almost has to be a mass media event. There may be some credible sightings or visitations. Try to imagine an interview with an alien on a major network or all networks simultaneously or a preview with an appearance at the United Nations or G20 gathering. It could, of course, be more subtle. Someone could pop into my office and invite me to turn on a camera and roll. Inch by inch or all at once? Inch by inch reduces the shock but also gives the resistance more time to organize a campaign to discredit the eye witnesses. This is how it has been working for many decades. There are obstacles to Disclosure. The fact of the matter is that many people are not ready. In the dumbing down of billions and the constant distractions of crises, an enormous percentage of people have been in survival mode to one degree or another since birth. People adopt different coping strategies: passivity, toughness, fantasies about the afterlife in which their suffering will be rewarded with pleasures not enjoyed in the here and now, and no one is really here to refute any misconceptions because our biases and blindness bind us to our ignorance. To appreciate how unprepared we are, let me recount a memory from my high school days. We had an exchange student from Denmark. He was in shock about the real America. He said he thought everyone was a cowboy, millionaire, or gangster. Now, ask someone in Africa where U.N. troops protect corporate exploitation what the world looks like to someone who is subjected to that particular abuse of power. Ask him to imagine the end of extreme poverty and demoralizing subjugation. Now project this into Space. Do we really think we can go wherever we want to raid and plunder? I think limits have to be placed on power. This implies some redistribution of wealth, but when you think of it, it is restoration of what has been stolen and restitution for suffering. How close is Disclosure? I think it is imminent because there is less censorship of information now than ten or twenty years ago. Today, a story can be published whereas we still do not know what really happened at Roswell. However, false stories are part of the mix so I am advocating extreme discernment. I think Disclosure could occur as soon as this year but possibly not until next year. Frankly, I do not know how to hold feet to the fire. The only relatively free press is where there are legitimate journalists who get their own stories. Everything else is cribbed or canned. For example, White House reporters are given a story. They can ask questions but will get officially authorized responses. Most youtubers are plagiarists who think they have some right to use material from other uploaders. So, where do we go for real news? Where are the boots on the ground? What is aired? These and many other issues have led some people to speculate that Disclosure will entail preempting all broadcasts simultaneously with an international audience. I am sure the aliens can do this and also make everyone hear in his or her native tongue, but there are other options as well as back up plans. I will address those separately, based on other visions I have had. This said, I am one voice among many. Though I usually have reasons for everything I write, you should not assume that I am always right, merely that I am doing my best in this strange world. I do however want to remind people that there are dimensions so what we call reality is third dimensional and it is verified by reference to senses and sometimes machinery. This means if we see it, it is "real" and if we do not, well, maybe it is not real. However, the sense of sight is limited to one vibrational octave that is somewhat arbitrarily divided into seven rainbow colors, but theoretically, computers can interpret 16.777 million colors (256 x 256 x 256). This is still all within one vibrational octave and we know that right below the 49th octave, there is infrared and above, there is ultraviolet. Now, if someone sees a spacecraft and it vanishes, what exactly happened? Did it disappear, disappear from the operative visual sensory range, or dematerialize . . . while retaining the option to rematerialize? Until we understand these simple matters, we will not get very far with the more complex ones.